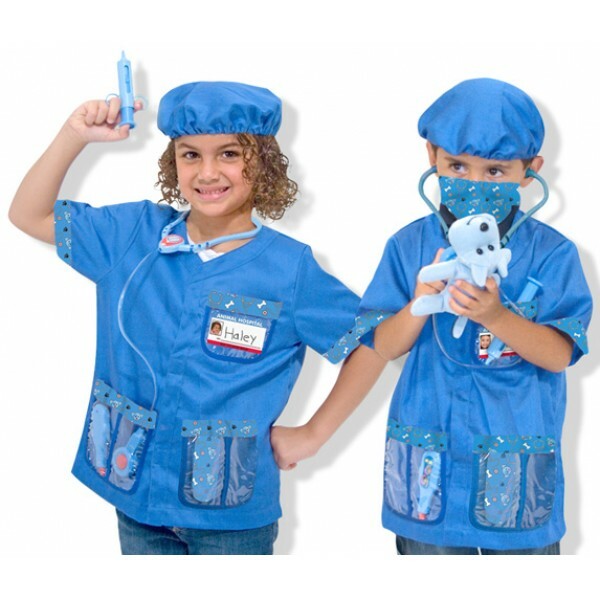 Melissa and Doug Veterinarian Role Play Costume Set equips your child with all the gear necessary to care for stuffed puppies and kitties! 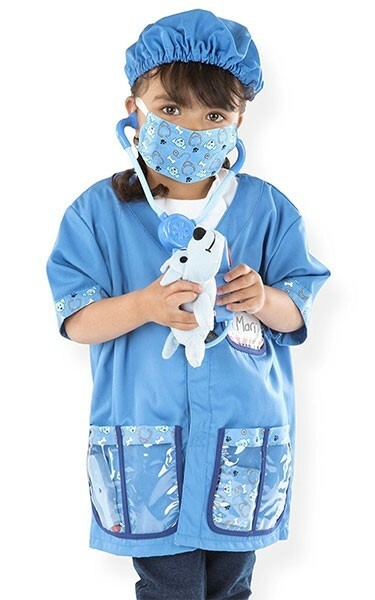 The care of your pets, large and small, will be in capable hands when your little vet is suited up in a machine-washable blue jacket, face mask and surgical cap. 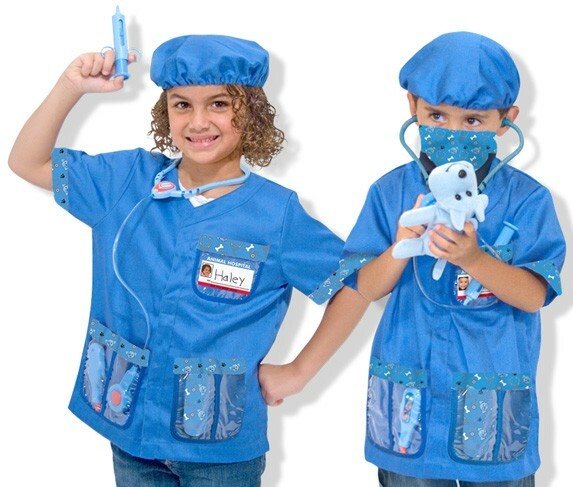 A stethoscope with sound effect, a syringe, a bandage and a name tag for personalizing complete this set. A little plush puppy patient to "doctor" and love is included. Made for kids ages 3 and up. Fun-inspiring gear from Melissa and Doug to YOU!